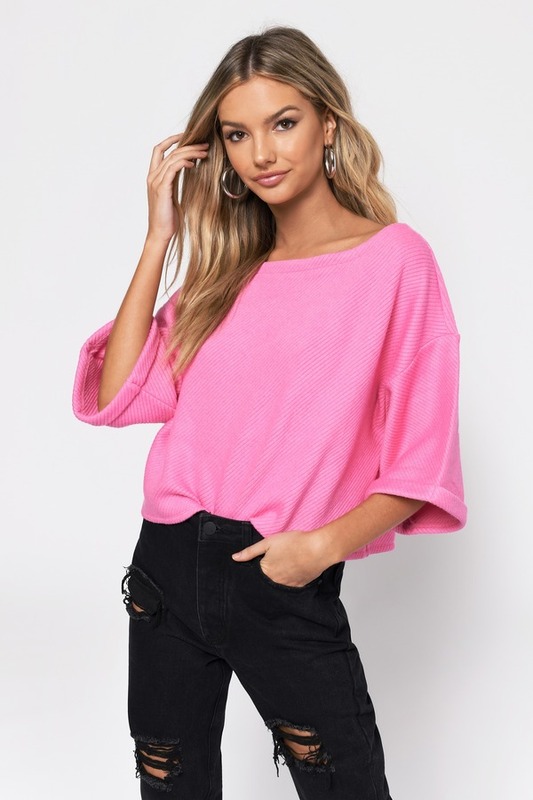 Check out Tobi's Sweet Dreams Rib Knit Sweater Achieve that boxy look with the Sweet Dreams Pink Rib Knit Sweater, featuring a crew neckline, rolled up oversized 3/4 sleeves, and ribbing throughout. 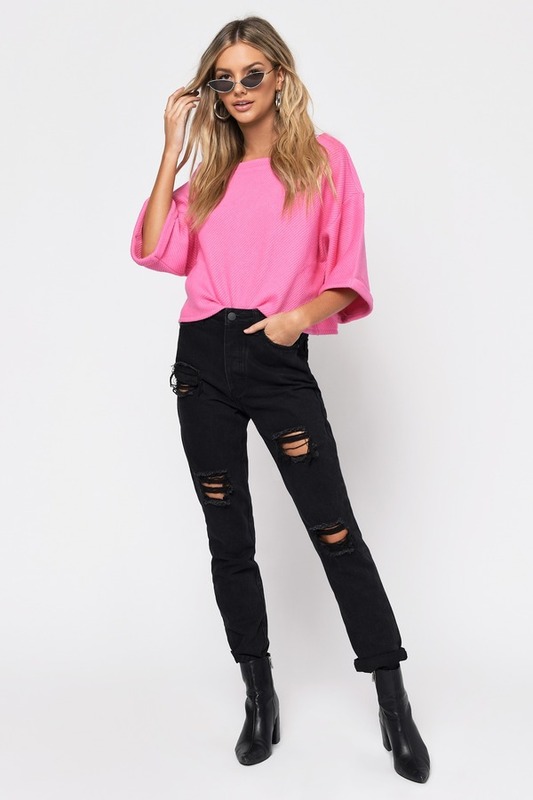 We love the hot pink sweater with light wash skinny jeans. 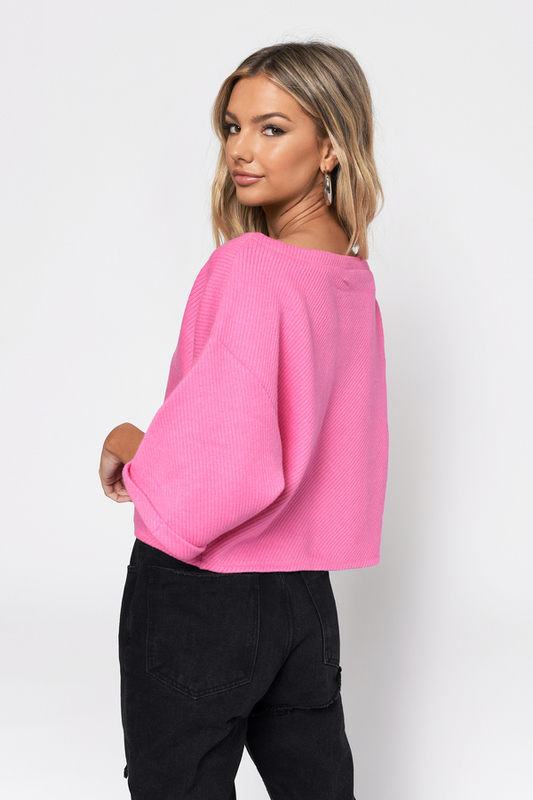 Achieve that boxy look with the Sweet Dreams Pink Rib Knit Sweater, featuring a crew neckline, rolled up oversized 3/4 sleeves, and ribbing throughout. We love the hot pink sweater with light wash skinny jeans. 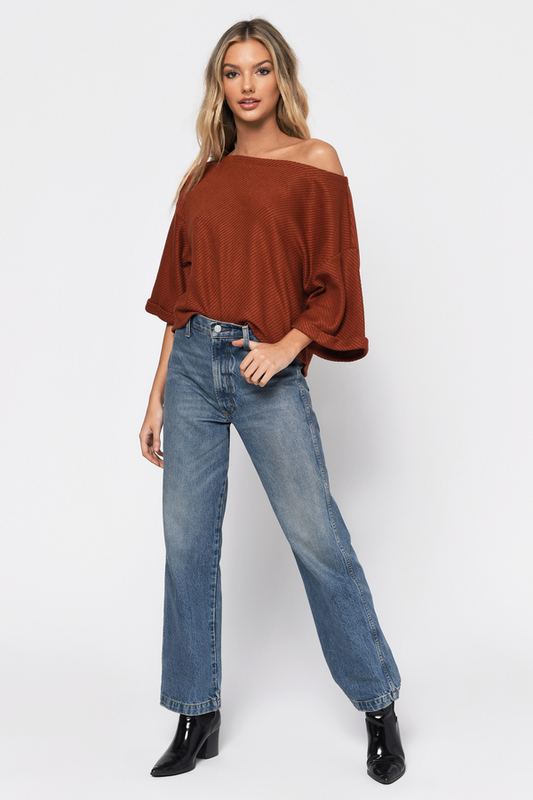 Achieve that boxy look with the Sweet Dreams Rust Rib Knit Sweater, featuring a crew neckline, rolled up oversized 3/4 sleeves, and ribbing throughout. We love the hot pink sweater with light wash skinny jeans. Pink, Rust modeled on a size Small.